People having Oily skin are more likely to have oily hair, which is the result of overactive sebum (Oil) producing glands in the scalp. Although sebum is essential for the health of the hair but excessive amount of sebum makes your hair greasy and sticky. There are several other factors that may lead to an oily scalp and oily hair. Let's have a look some common factors and causes behind oily hair. 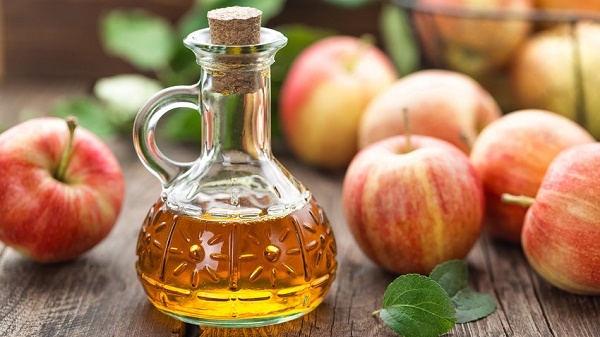 Apple cider vinegar is considered very effective to cure oily and greasy hair. Apple cider vinegar is also very helpful in getting rid of dandruff too. Apple cider vinegar has an astringent effect that helps to reduce the oil build-up on hair. In addition, apple cider vinegar also helps in balancing the pH level of the scalp and controls oil secretion. Add 2 tablespoons of apple cider vinegar in one cup of water. Apply this solution on the scalp and hair. Allow the hair to dry naturally then rinse off with clean water. 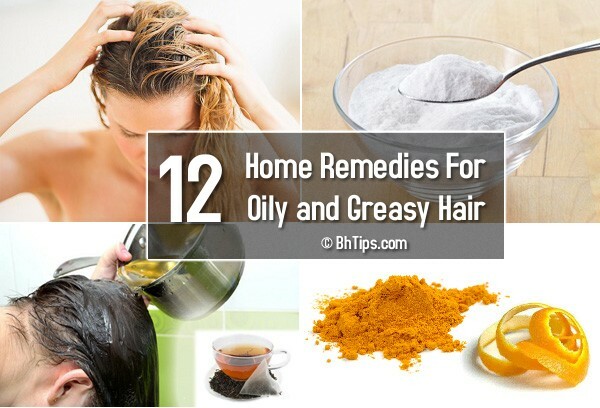 Repeat this thrice per week to get rid of oily and greasy hair. 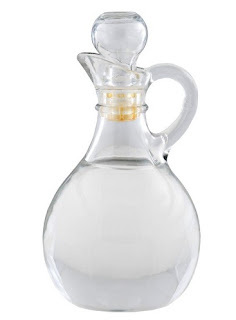 White Vinegar is also very helpful in getting rid of oily and greasy hair. White vinegar not only control secretion of oil in the scalp but also help to cure dandruff. 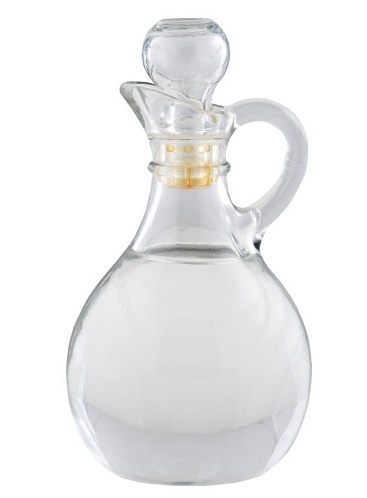 Take 2 tablespoons of white vinegar and mix in one cup of water. Apply this solution on scalp and hair. Let it stay for half an hour then rinse off with clean water. 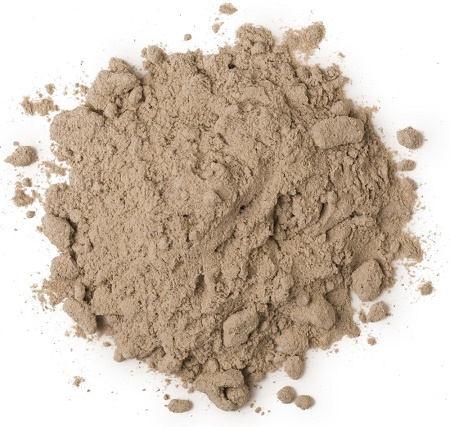 Use of Fuller’s earth(Clay) is another great way to treat oily scalp and greasy hair. According to your hair length take 2 - 4 tablespoons of Fuller's Earth and add some water to make a fine paste. Apply this paste on your hair and scalp and massage well. Let it stay for half an hour and then wash off with fresh water. Repeat this twice per week to get rid of excessive oil. The acidic property of lemon helps balance the pH level of the scalp and controls oil secretion. Take some Lemon juice and massage on your scalp and hair. Instead of pure lemon juice you can dilute this by adding some water and apply this solution all over your scalp. Let it stay for 30-40 minutes and then rinse off with fresh water. Repeat this thrice per week to get rid of oily hair. 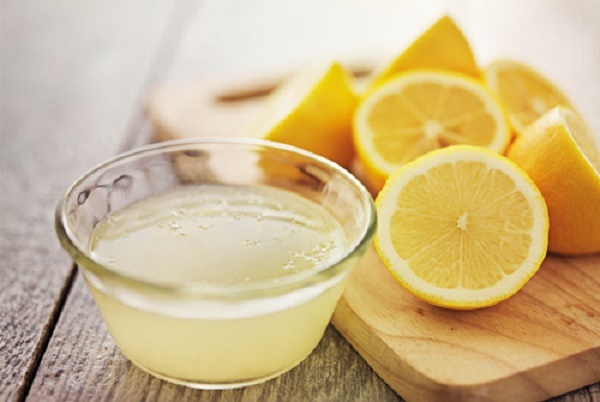 A mixture of aloe vera gel and lemon juice is highly beneficial in getting rid of oily and greasy hair. Mix one teaspoon of aloe vera gel and one teaspoon of lemon juice. Rub this mixture on your scalp and hair and let it stay for 15-20 minutes. Finally rinse off with clean water. 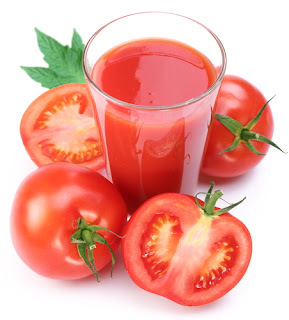 Tomato juice is considered very helpful to treat oily and greasy hair.The acidic properties of tomatoes help balance the pH level of your scalp which in turn controls excessive oil production. Extract the juice from one ripe tomato and mix with 1 teaspoon of fuller’s earth. This will ensure that the tomato juice does not drip on application. Now apply the tomato juice and fuller’s earth paste on the hair and scalp. After 30-45 minutes wash off your hair and scalp by using cold water. 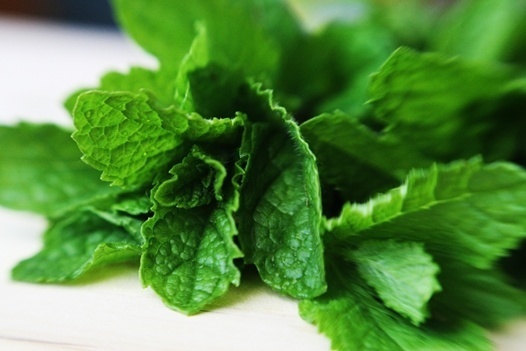 Astringent properties of mint are very helpful to remove excess oil and greasiness from hair and scalp. Boil a handful of mint leaves in half liter or about 2 glasses of water for 15-20 minutes and let the mixture cool. Strain and store the mint water in a container or bottle. Rinse your hair and scalp with this mint water after shampooing. Leave it in your hair and don't rinse your hair before next 24 hours. 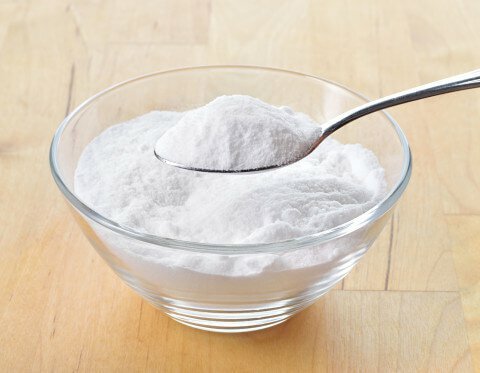 Oil absorbing qualities of baking soda are very helpful in getting rid of oily hair and scalp. According to your hair length, take 2-3 teaspoons of baking soda and add a little water in it to make a paste. Gently massage this paste only on the scalp. Rub the scalp with baking soda paste for 3-5 minutes and then leave for 15-20 minutes. Wash the scalp and hair using cold water. Finally was off your hair by using your regular mild shampoo. Henna is a good hair conditioner as well as has a drying effect which is highly beneficial for an oily scalp. According to your hair length take some henna powder and add some water. Mix them well and make a smooth paste. Apply this to your clean hair. Let it stay at least for one hour and then was off with normal water. Orange peel is also very beneficial in getting rid of oily and greasy hair. Take some dried orange peels and grind them to make a fine powder. Now take about 2 tablespoons of orange peel powder and mix with 2 teaspoons of honey and apply on scalp and hair. Let it stay for 25-30 minutes and wash off with a mild shampoo. 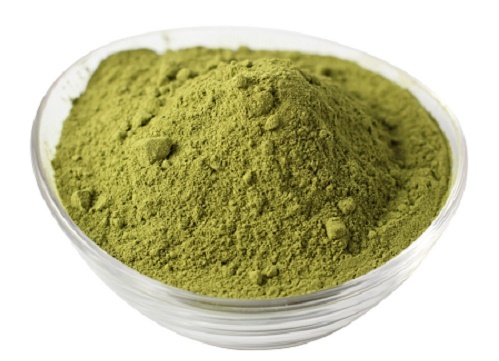 Tea contains tannic acid which acts as an astringent and helps a lot in getting rid of oily and greasy hair. 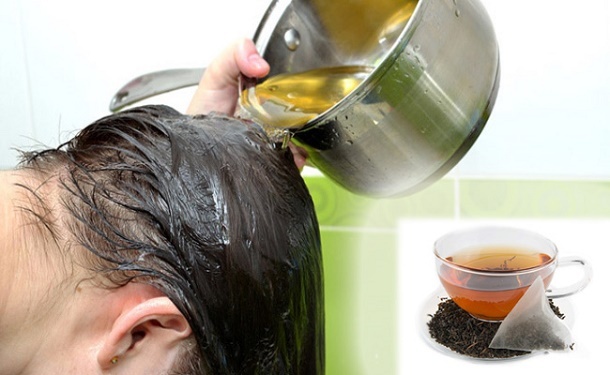 After washing your hair you can rinse your hair with a diluted tea mixture. Take 1-2 tea bags and let them steep in 1 glass of boiling water or take some tea leaves and boil in a glass of water. When it becomes lukewarm, apply the tea water on the scalp and hair. Finally wash off by using your regular mild shampoo. 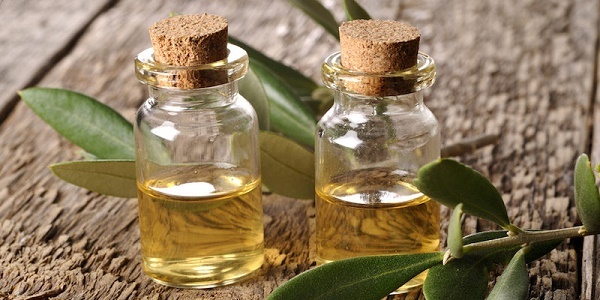 Tea tree oil is also very beneficial in getting rid of various hair problems including hair dandruff, excess hair oil, scalp irritation, itching and rash, bacterial and fungal infection. It removes excess oil, sebum, dirt and dust that blocks the hair follicles and instead of oily and greasy look it adds a healthy shine to hair. According to your hair length, take some tree tree oil and massage your hair and scalp with this oil. Don't wash your hair at least before 7-8 hours. Finally wash off your hair with regular shampoo.